are quite different from mine. 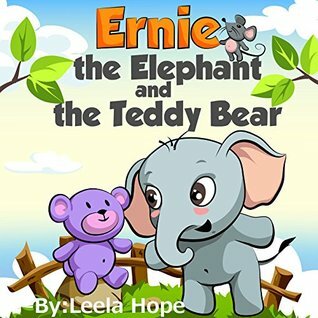 The plot follows Ernie as he looks for his lost teddy bear, Plum. Ernie’s loss is heartbreaking and I’m sure any child would identify. All of us misplace our toys sometimes. Sometimes a lost toy is just a metaphor for a deeper feeling. These stories teach the kids how to cope with grief. But this book isn’t so heavy. It is about the fun of the search. If anything, it teaches kids to be systematic and organized. The rhyming is nice and the illustrations are sweet. I particularly liked the illustration of Ernie and Martin running down the stairs. It demonstrates the hurry.